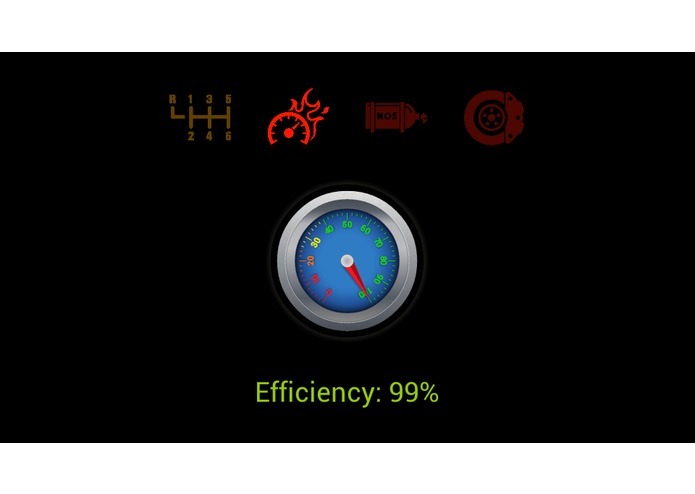 The application detects bad driving habits like too aggressive speeding or braking, or inaccurate gear changes. During driving, the user is warned when bad habit is observed, also overall driving efficiency score is calculated and presented to the driver in a gauge similar to those present in cars. When ignition goes off, the driver is presented more detailed report about faults he/she committed, and is advised to work on his/her driving habits, in order to improve driving efficiency ratio. 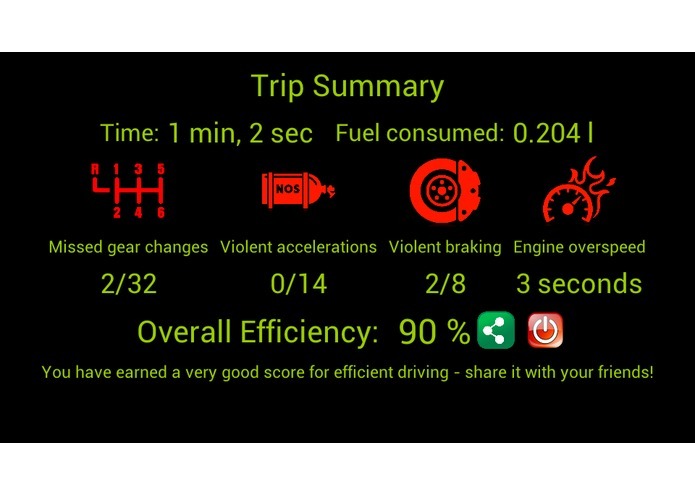 It is also possible to share driving score with friends on popular social networks.